Out with the old and in with the new! The turn of the year is always a colorful occasion and a great excuse to continue the festive fun with friends and family. Come the midnight hour on December 31, every place has its traditions. But some cultures take things to weird and wonderful new levels. 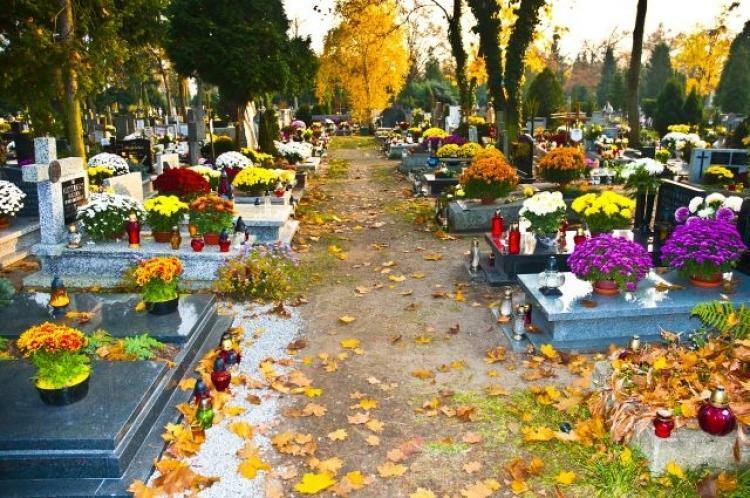 Whether it’s smashing plates in Denmark, a night at the cemetary in Chile or whispering to cows in Romania, New Year’s Day certainly showcases the more interesting side of human nature. Here’s our top 7 strangest New Year’s traditions. Happy New Year! 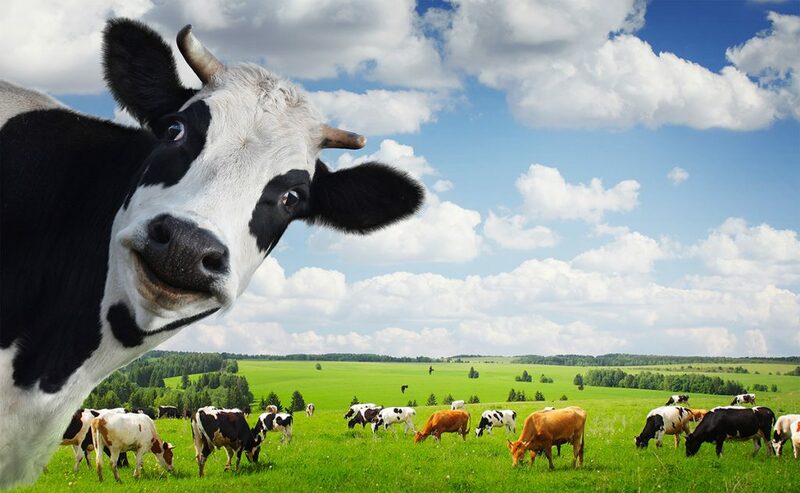 Belgian and Romanian farmers lovingly whisper sweet nothings into their favorite cow’s ear on New Year’s Day. Get their words right and it’ll be moosic to the cow’s ears, meaning they will be rewarded with a year of good fortune. At the end of the year in Denmark, washing up is for suckers. 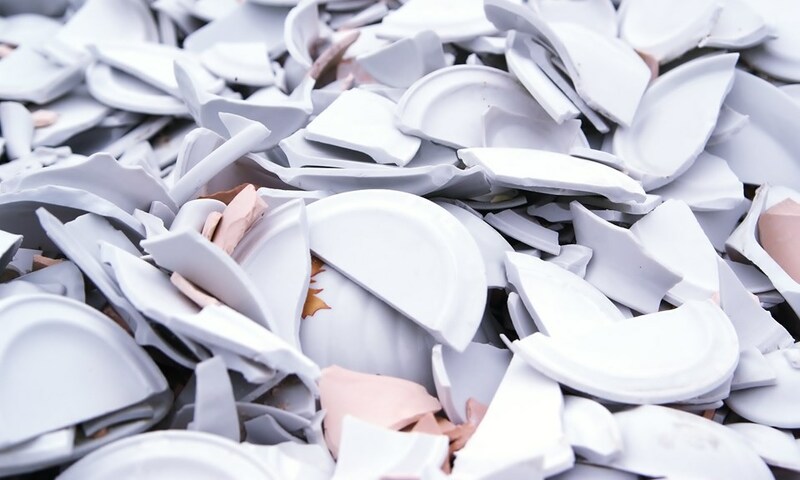 Unwashed dishes and plates are saved up and affectionately thrown against the doors of friends and family, a tradition that’s proved to be a smash hit for many years. As an added bonus, the clean-up makes a fun New Year’s game for the kids. 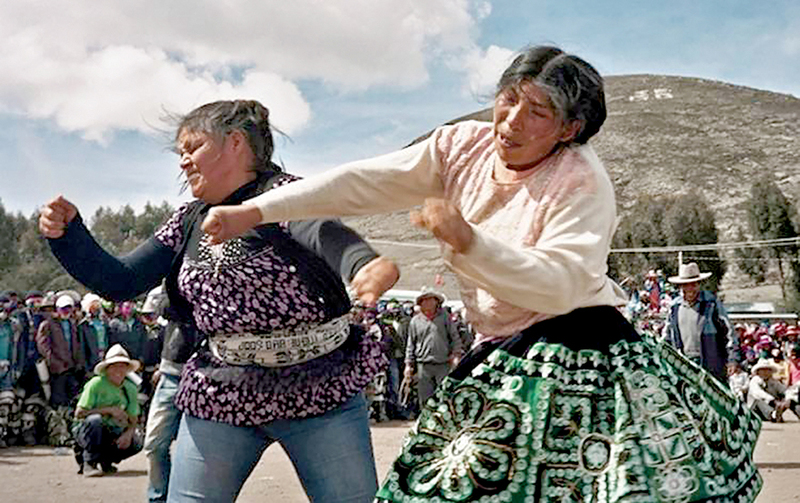 Every year in a small village in Peru, villagers settle their differences with an end of year fist fight. Then, they get drunk together, to numb the pain and toast the beginning of a new year. Every child’s worst nightmare is reenacted in Switzerland at the end of every year. 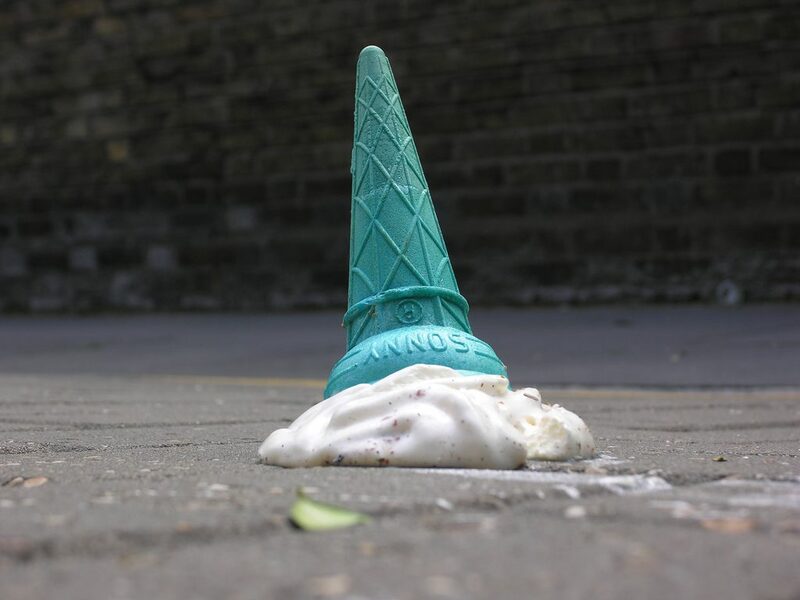 For some inexplicable reason, the Swiss bring in the new year by dropping ice cream on the floor. Symbolic preparation for the crushing disappointment of a new year? Or a demonstration that sweet things sometimes fall at your feet? Either way, this is a typical tradition for a country with more sweet treats than they can eat. 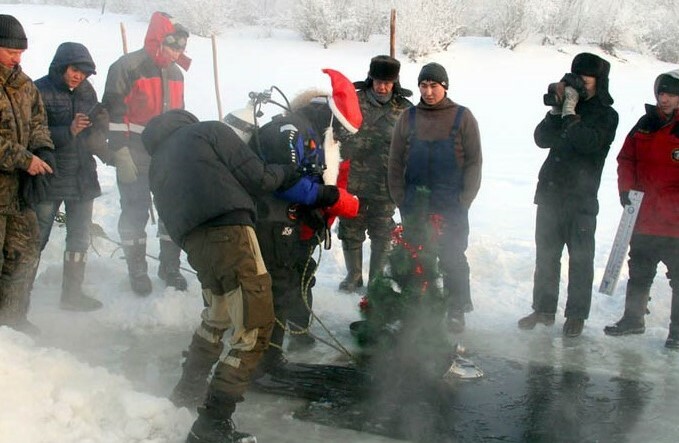 Brave divers in Siberia break the ice at the end of the year, plunging into the freezing depths of Lake Baikal, to ‘plant’ a decorated Christmas tree. Aside from frozen baubles, this tradition brings good luck for the year ahead. An amorous New Year’s tradition from the country that invented Romance™. 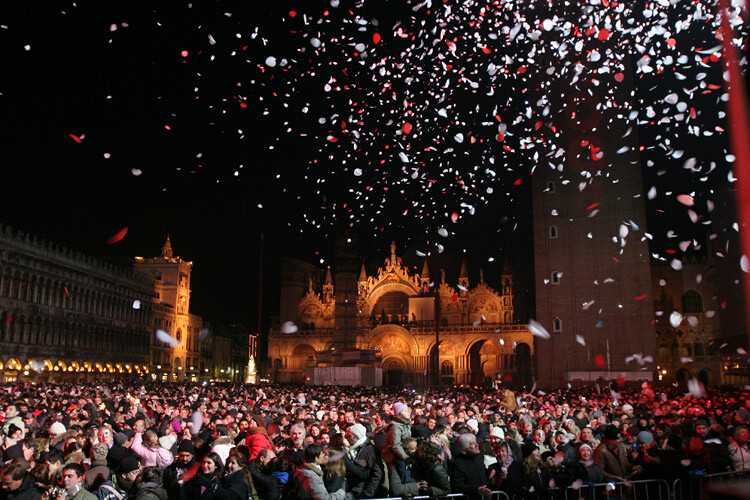 Up to 70,000 people gather in St Mark’s Square, Venice, for a mass smoochfest, locking lips and seeing in the new year by sharing a passionate kiss with the one they love. Finally, in the city of Talca, Chile, families spend the night in the company of the dearly departed. Locals light a candle for lost loved ones and spend the night reminiscing, a tradition that they say brings peace to their souls. 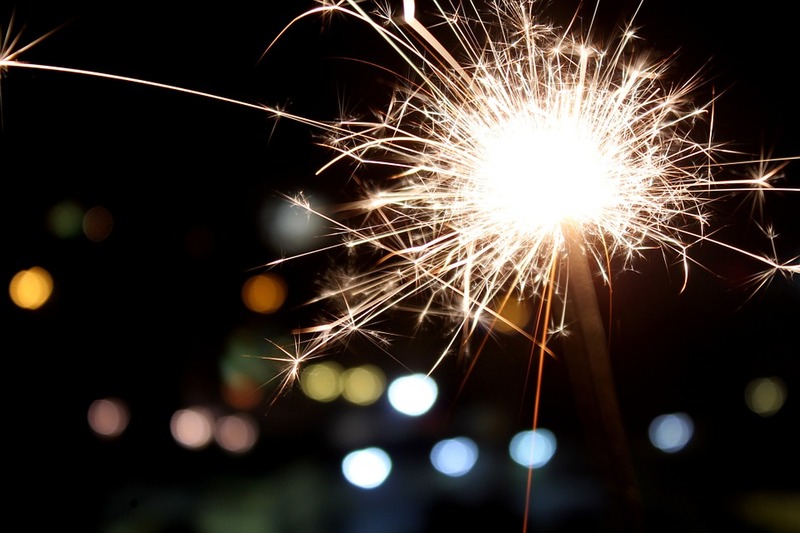 Do you know of any other unusual New Year traditions? Let us know in the comments below. Check out EU Business School’s website for regular updates on events in 2018!